What is Google Tasks and How Can It Help Me? Google Tasks is a free online service that helps manage your to-do lists. You can access Google Tasks via your Google account. It is available for the PC, Mac and both iPhone and Android-based smartphones such as the Samsung Galaxy series, Motorola Moto, etc. While not as advanced as a dedicated to-do list, Google Tasks does allow both tasks and sub-tasks, making it enough to cover most needs. What Exactly is Google Tasks? Think of Google Tasks as a piece of paper that allows you to write down items or tasks and then cross them out when they are done. Only instead of cluttering up your desk, the sheet of paper is stored alongside your email. Presto! No clutter. And Google Tasks allows you to create multiple lists, so you can have one for the grocery store, one of the hardware store, a list of tasks that need to be done before you start that bathroom remodel, etc. And if that is all it did, Google Tasks would be a useful feature. But Google Tasks also works alongside Google Calendar, so those tasks you created for the bathroom remodel can have actual due dates. Why Would You Want Google Tasks? Managing paper notes is tried-and-true, but many of us feel it's time to get rid of that magnetic grocery list stuck to the refrigerator and boot those sticky notes that are littering the desk. Google Tasks is an all-in-one list maker and task organizer. And if you use any of Google's products like Gmail or Google Calendar, you already have access to it. Google is known for making solid "no-thrills" products that strip away all of the bells and features to give you a simplified easy-to-use application. And this describes Google Tasks perfectly. It may not compete with apps like the Todoist or Wunderlist in terms of features, but if you mainly want an app to keep track of shopping lists or to track items on your task list, it's perfect. And best of all, it is free. The best part is these are features that exist "in the cloud," which is a fancy way of saying they are stored on Google's computers and not your own. You can access your grocery list or tasks from your desktop PC, your laptop, your tablet or your smartphone and it's the very same list. This means you can create the grocery list on your laptop at home and view it on your smartphone while you are in the store. The easiest way to access Google Tasks is through the Gmail website. This allows you to use Google Tasks alongside your email and makes it easy to take to-do items emailed to you and move them to Google Tasks. First, navigate to https://mail.google.com and sign into your Gmail account if prompted. A menu of Google apps exists on the right side of Gmail, just to the right of the scroll bar for the inbox. Google Tasks is a blue circular icon with a white diagonal dash. After selecting Tasks, a window expands on the right side of the inbox. Select Add a Task to create a new task. If you hover over a task, a pencil appears on the right side. Click the pencil to edit the details of the task, add subtasks or give the task a date. The flip side of the Google Tasks coin is the ability to check the status of your tasks and add new tasks while viewing your calendar. By default, Google Calendar is set to show your reminders rather than tasks, but it is easy enough to switch views. Navigate to Google Calendar at https://calendar.google.com and sign into your Google account if needed. To view tasks in Google Calendar, you may first need to turn on Tasks view. Click on My Calendars in the left-side menu and check the box next to Tasks. If you have assigned a date to a task, it will show up as a green label above the selected date. As with Gmail, a menu of Google apps exists on the right side of the calendar. The Tasks app is a blue circular icon with a white diagonal dash. You can add tasks and remove tasks just as you can in Gmail. You can click the green label highlighting the task to see more information and double-click to go straight to the Google Tasks edit screen for that task. Of course, tasks wouldn't be nearly as effective if you couldn't access them through your smartphone. Instead of embedding Google Tasks within the mail or calendar apps, Google created an app just for Google Tasks. If you have an iPhone, you can download Google Tasks on the App Store. 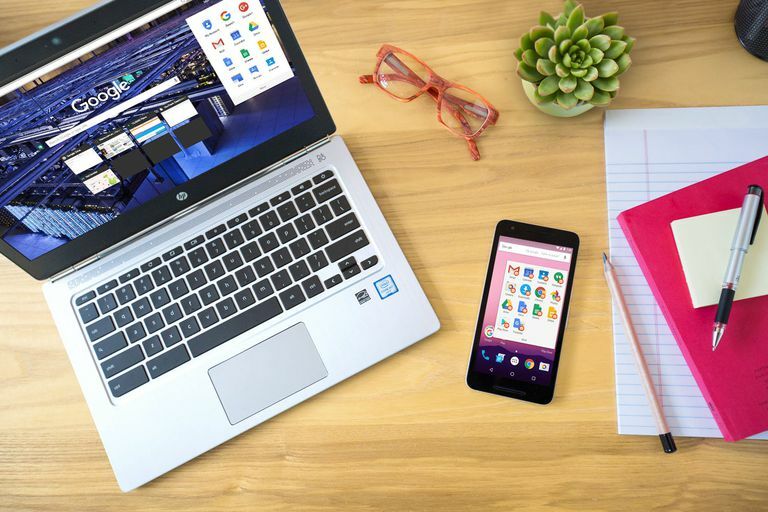 If you have an Android smartphone such as a Samsung Galaxy, Motorola Moto or Google Pixel, you can download Google Tasks from the Google Play store. You can also access Google Tasks on your iPhone, iPad or Android device directly in your web browser by navigating to https://mail.google.com/tasks/canvas. This is a great way of getting quick access to Tasks on your smartphone or tablet, but it is not quite as fully-featured as the app.